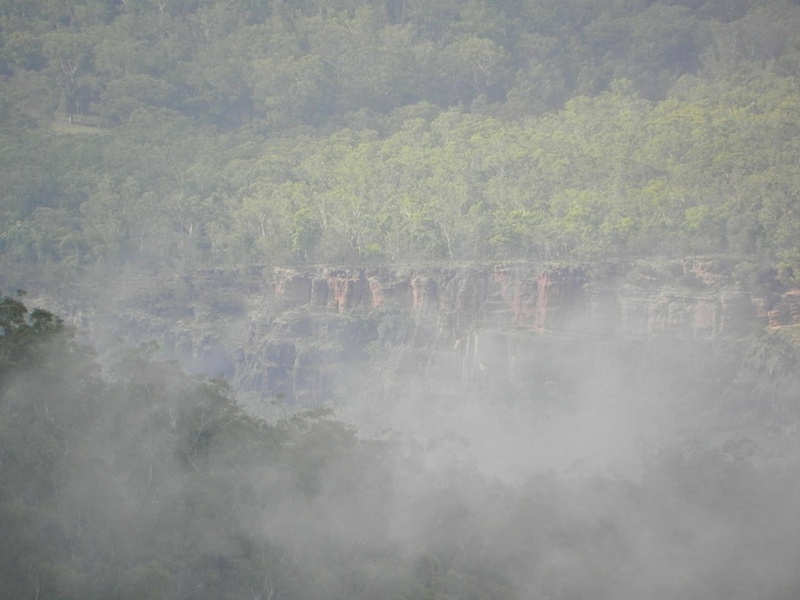 The morning’s mist begins to rise and lets us spy upon a hidden land across the gorge. Yes, that’s the sort of thing. There is an adventure waiting to happen there somewhere. I can just see a Pterodactyl rising up out of that mist!